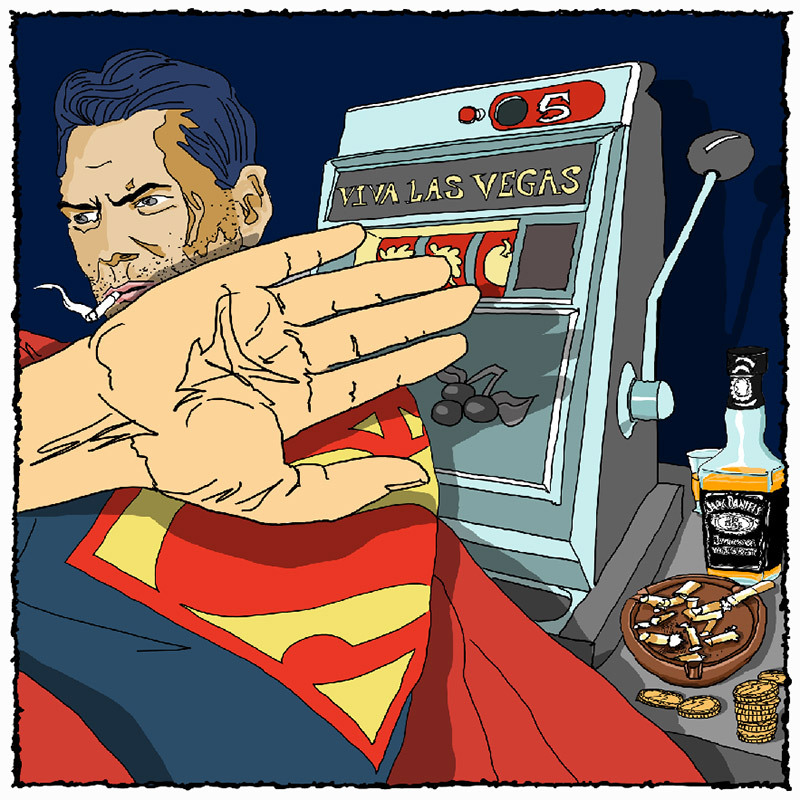 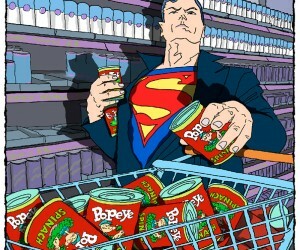 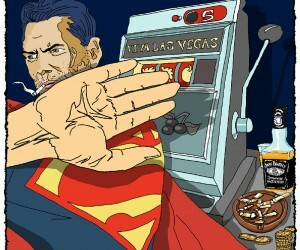 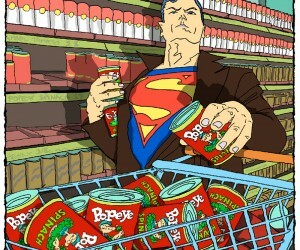 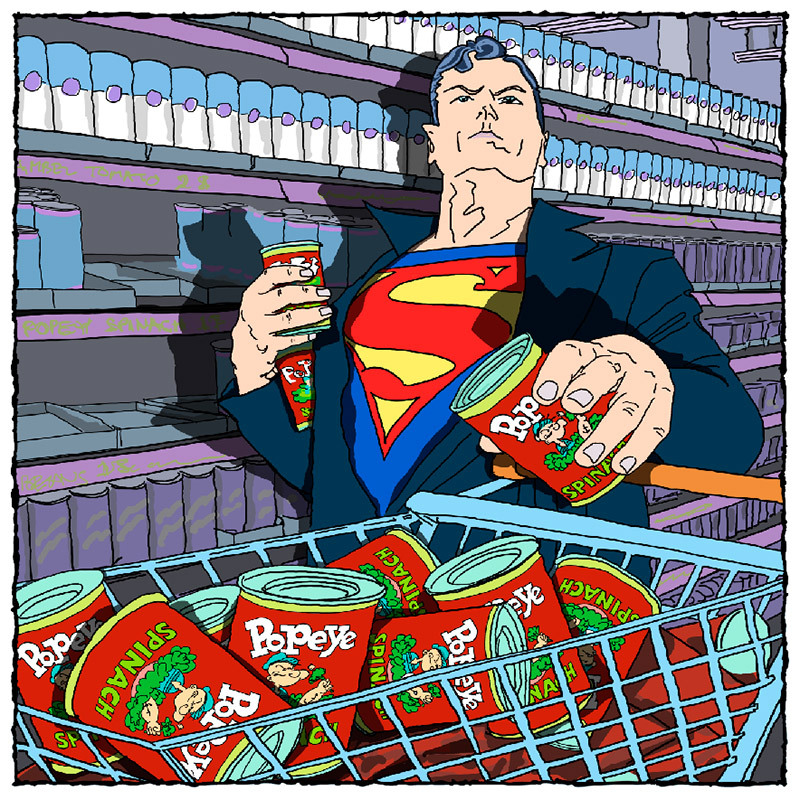 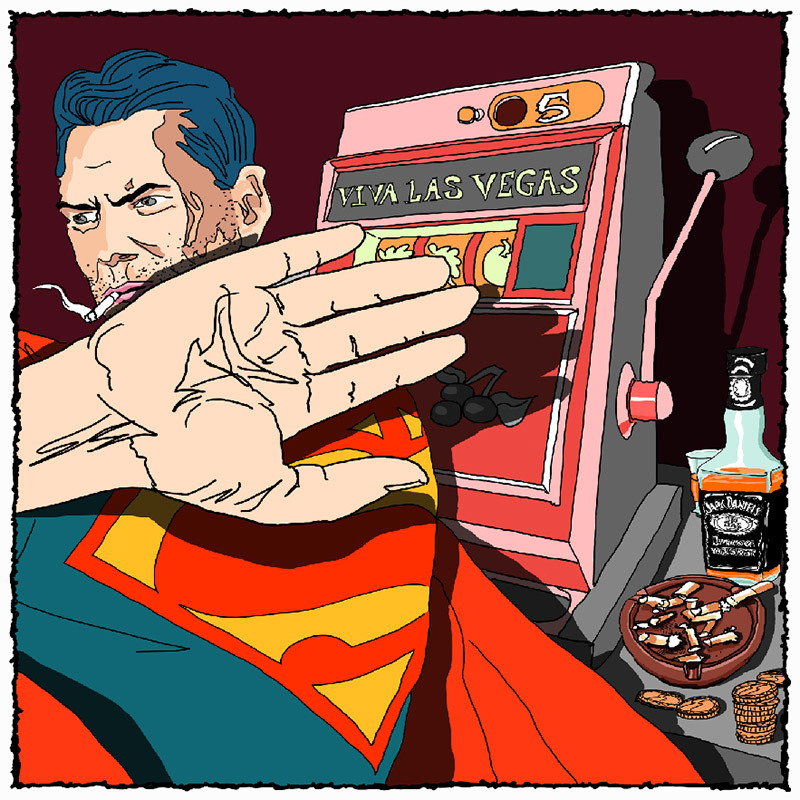 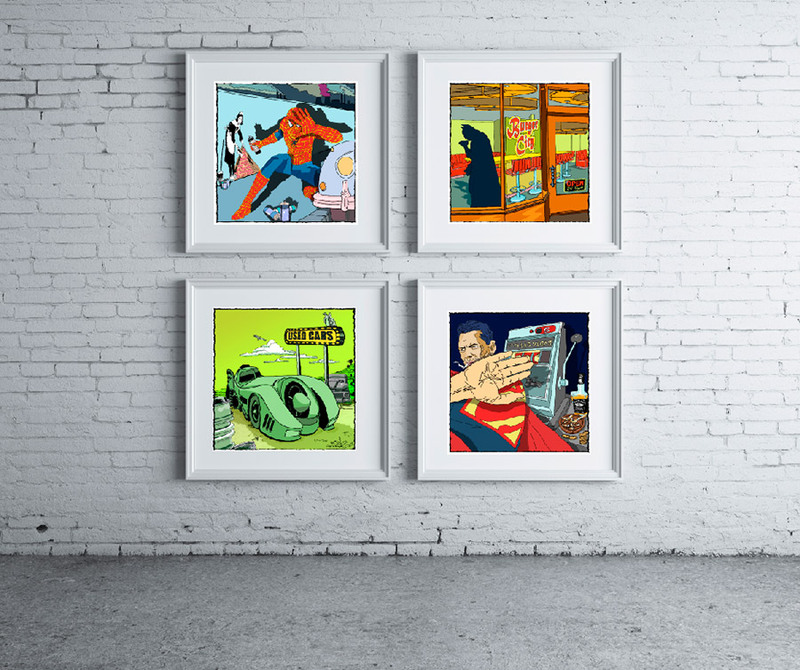 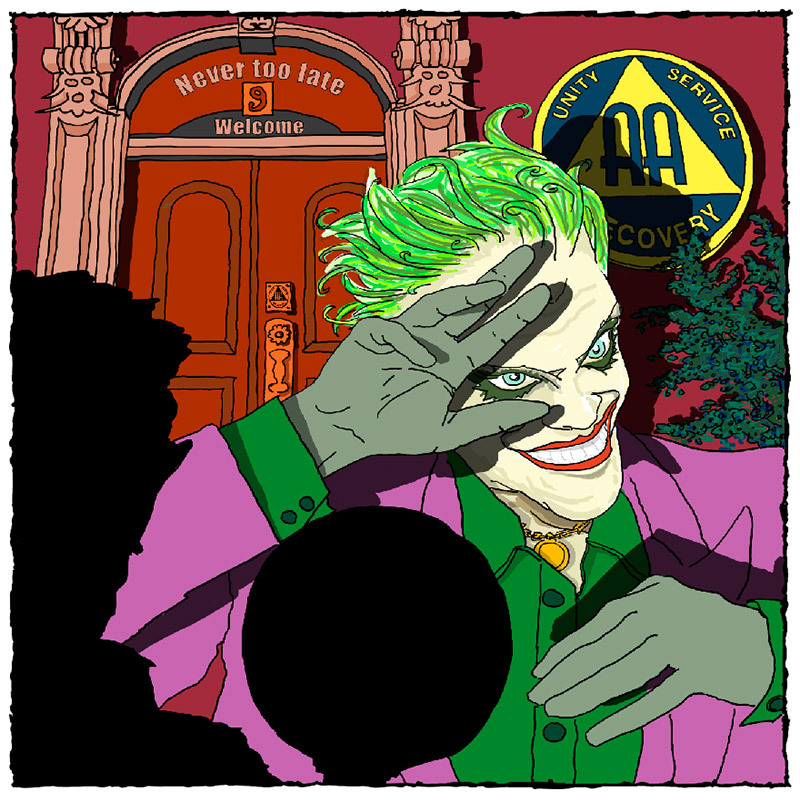 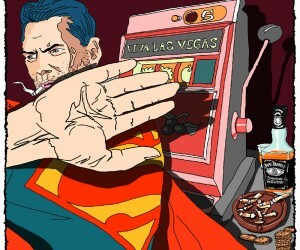 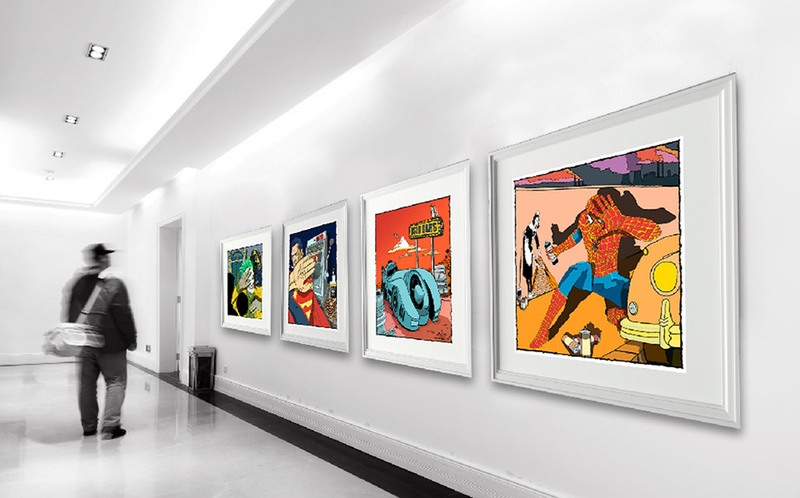 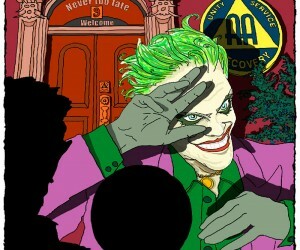 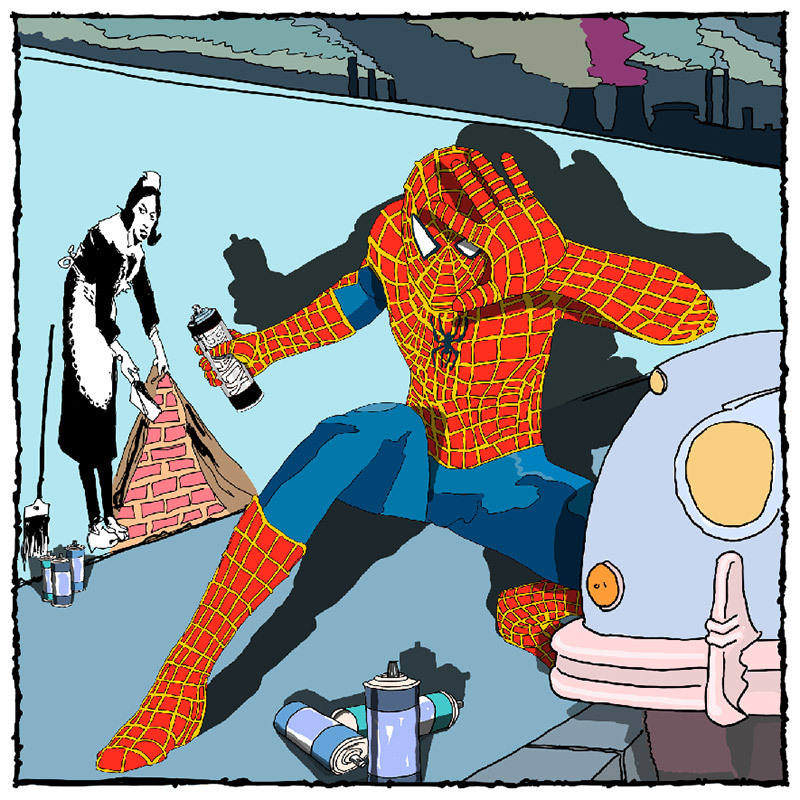 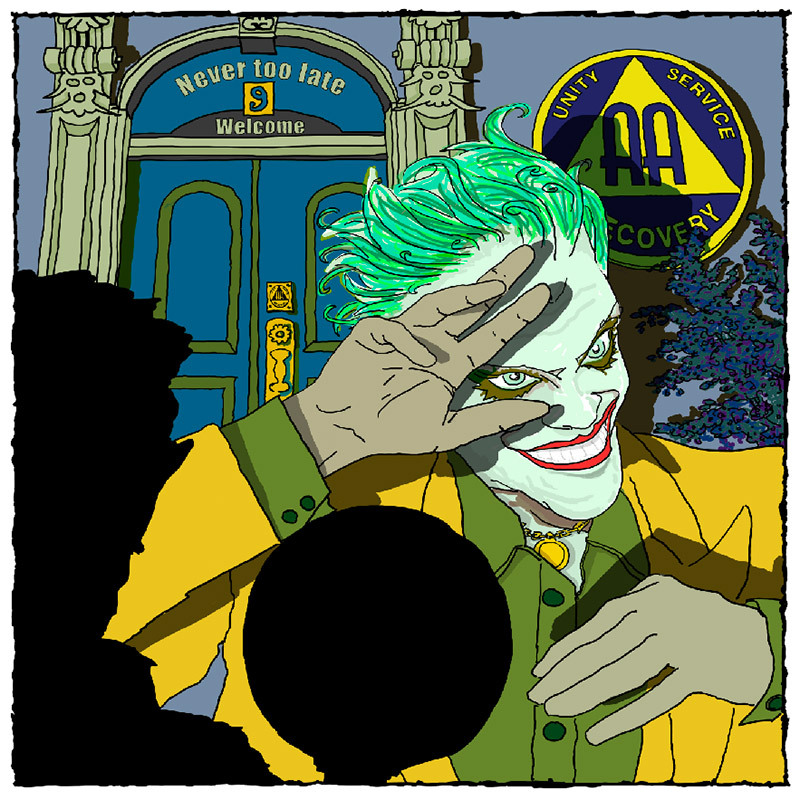 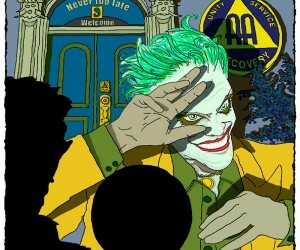 This terrific series of artwork by artist Mioxy shows the unseen lives of superheroes as caught by the paparazzi. 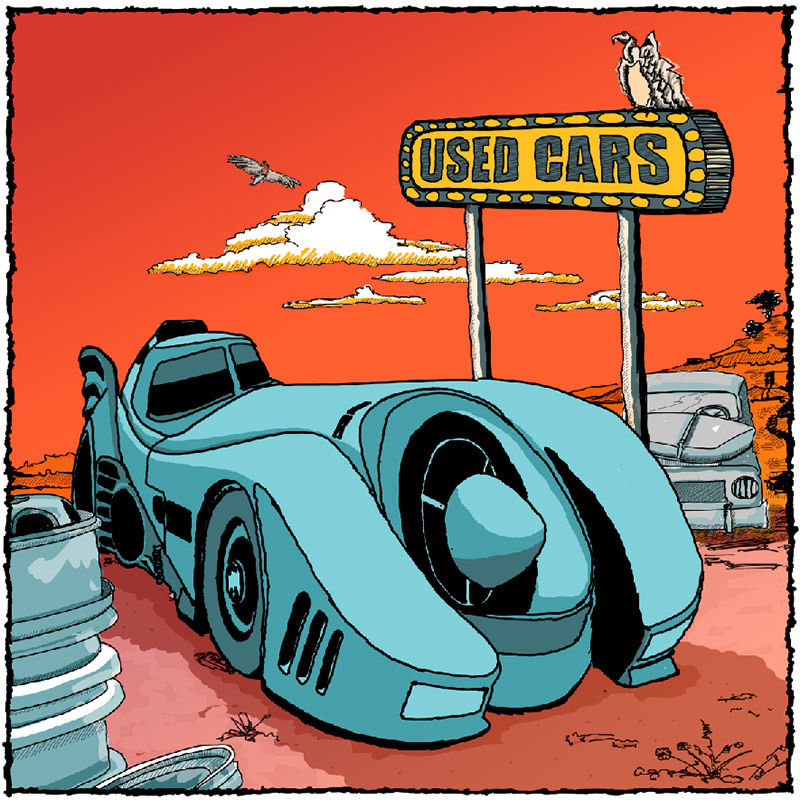 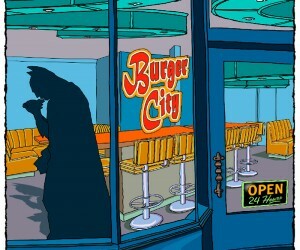 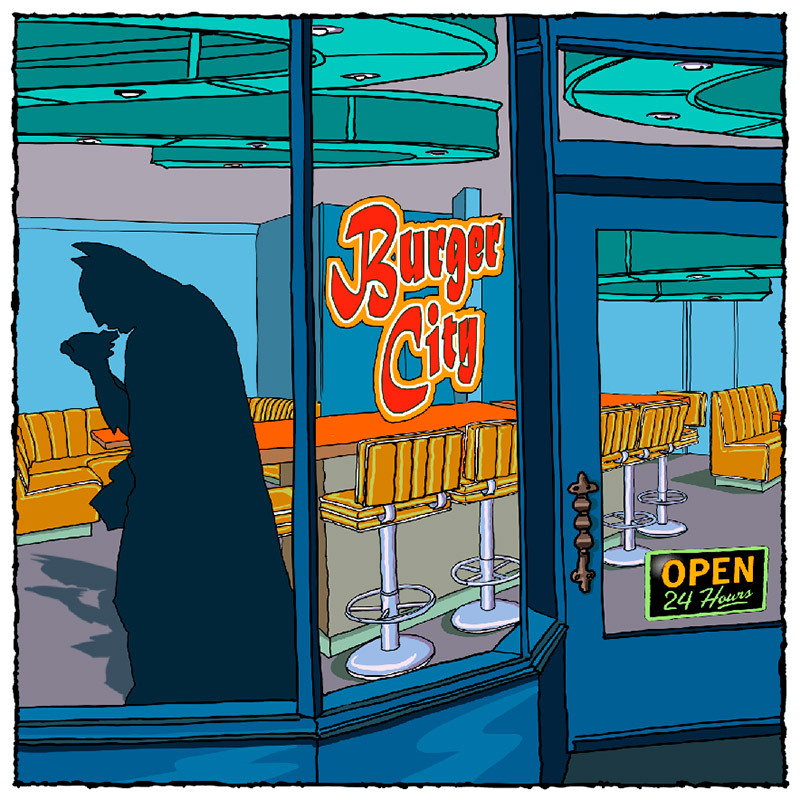 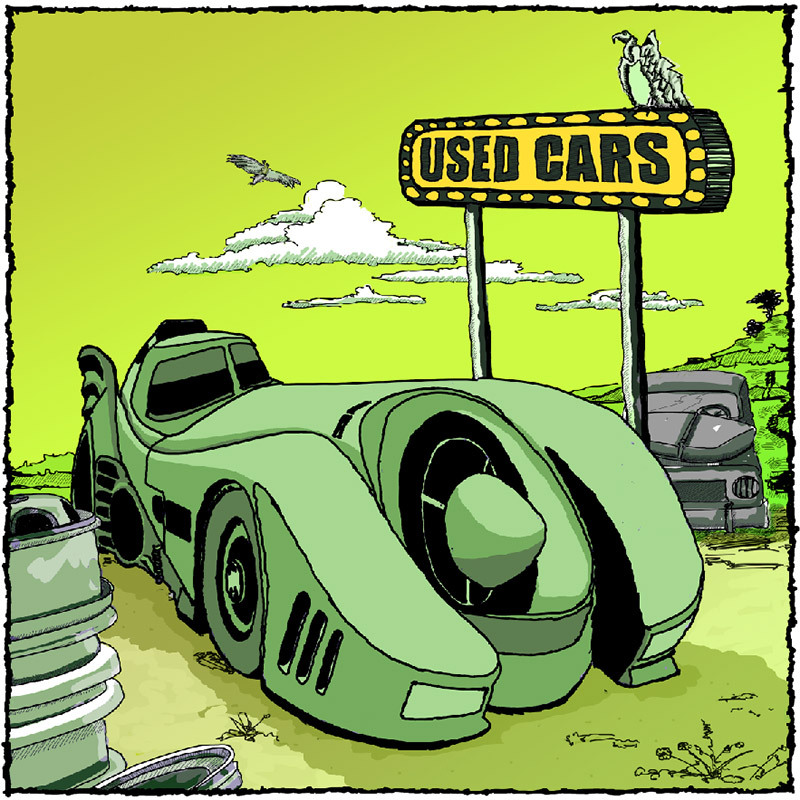 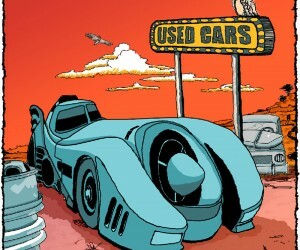 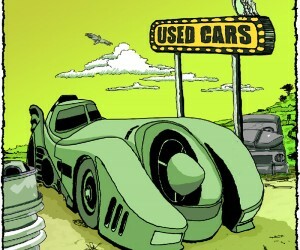 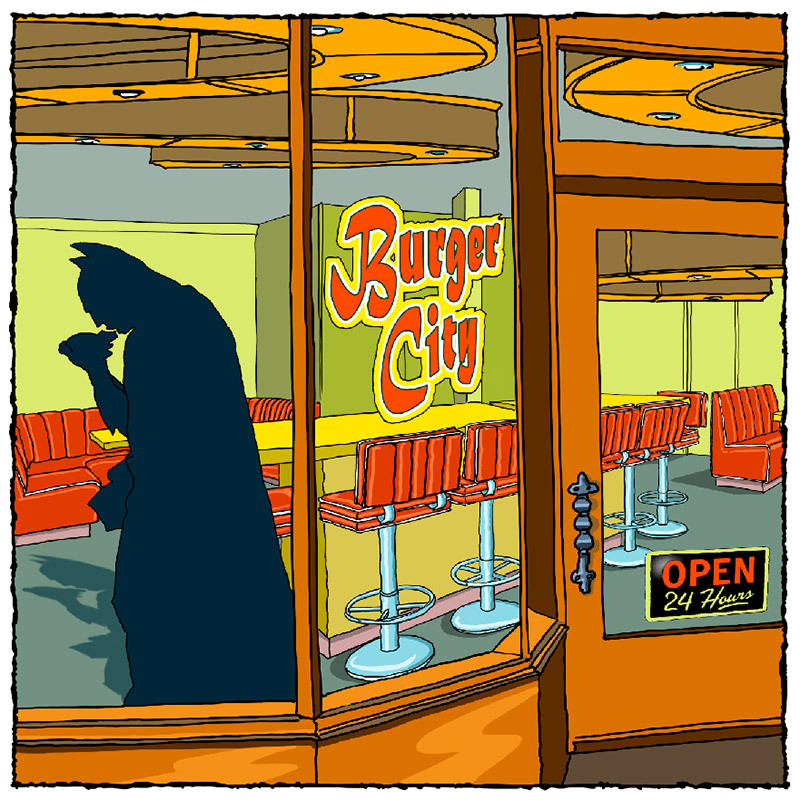 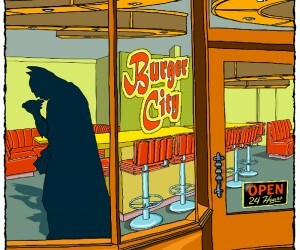 Looks like Batman has fallen onto hard times, eating along at Burger City and putting the Batmobile up for sale. 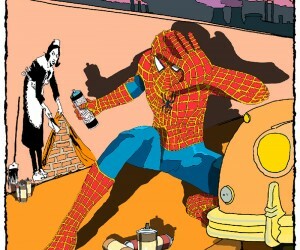 And is Banksy really Spider-Man in real life? 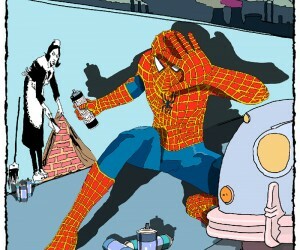 That would explain how he can create his public art without being seen! This series will be available at the Mioxy site, with the first six pieces available now. 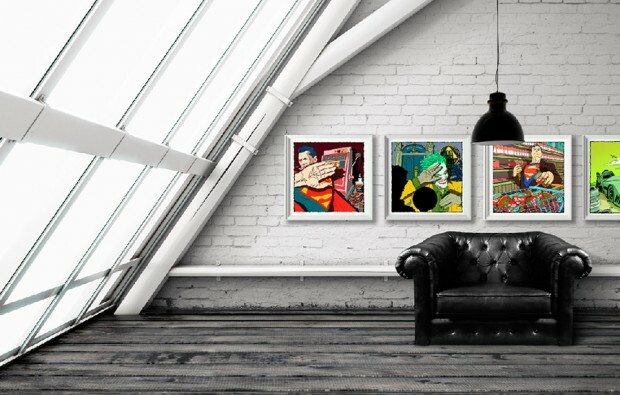 Each print comes in two color variations and will be limited to an editon of 100, with just 20 signed personally by Mioxy.